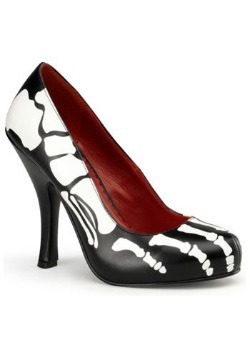 Skeletons are a Halloween classic, an essential really. 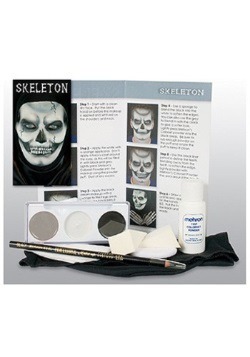 What would Halloween be without a skeleton? That would be like a Christmas without a Christmas tree, Easter without the Easter bunny. It simply wouldn't feel right. Can you imagine the 4th of July without fireworks? That's what a Halloween without skeletons is like. Simply tragic. This is why it's so important that you dress as a skeleton. When you dress up as a skeleton, you serve as the backbone for any Halloween celebration. (A little skeleton humor for you.) But seriously, it's true! 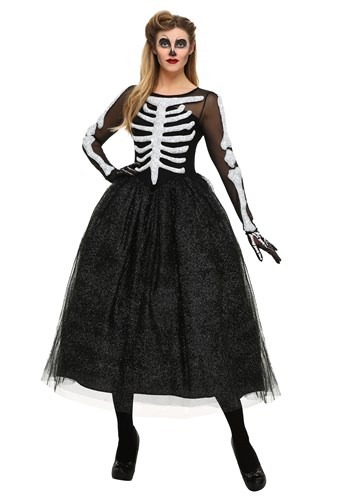 Sure, dressing up as movie stars and athletes is fun and all, but if you don't mix in some of the classics like skeletons, it won't feel like Halloween. So, just remember, by dressing as a skeleton, you are doing a great service to whatever party you choose to attend. 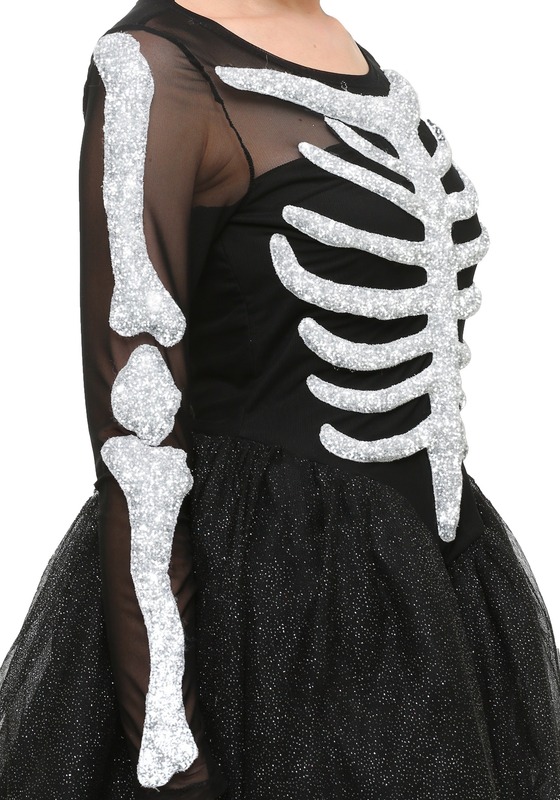 The dress top has a solid fabric for the back and chest, and mesh on the arms and neck, all of which is covered with a glittery three-dimensional skeleton. 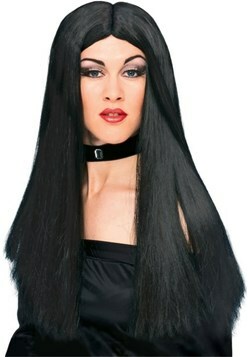 Under this, you'll find the layered skirt and nylon tights which are also printed with skeleton details! 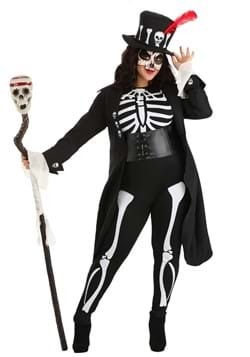 The finishing touch for this Skeleton Beauty Plus Size Women's Costume comes in the form of knit mesh gloves, printed with all the makings of a skeleton hand. This exclusive costume does not disappoint!